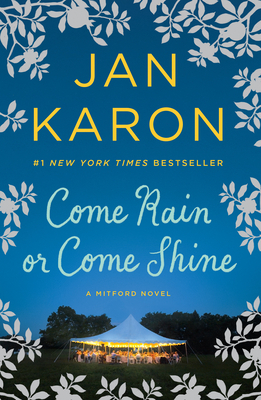 I have really enjoyed all of Jan Karon's books, especially her characters, but the last two, and this one in particular, are hard to follow because she doesn't identify the characters as it skips around in small sections of action. You're left to figure out which "she" or "he" is being referred to by the context--which takes several sentences, if not paragraphs during each jump. Still love her overall stories, characters, and sweet interactions, but it shouldn't be so hard to navigate!